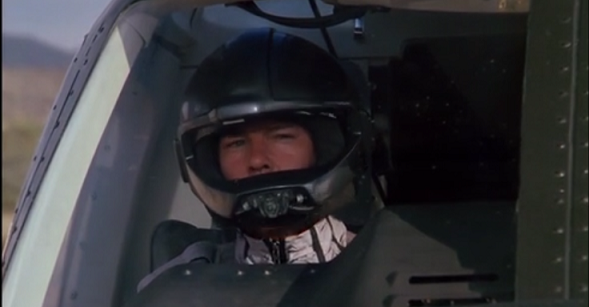 Scene Pick: ‘Airwolf – The Horn of Plenty’ (1985) – Chopping Down the Abductors - Word Matters! The season-opener of Airwolf Season 3, “The Horn of Plenty” was one of the show’s most exciting episodes in which Hawke was shown captured and brainwashed by a bad guy. With Airwolf and Dom also surrendered to the villain’s gang, it’s up to Cait to save the team. A young and beautiful Catherine Hickland (“Stevie” of Knight Rider) was seen playing Angelica Horn, daughter of the criminal who uses her to entrap Hawke in this episode. This is the final combat sequence when Cait has infiltrated the gang and let Hawke out so he could take the lady up in the air and give the bad guys a show of its magic. ‘THE HORN OF PLENTY’ HD RE-EDIT from Airwolf-Online on Vimeo.